But are any of the other picks actually eerie? 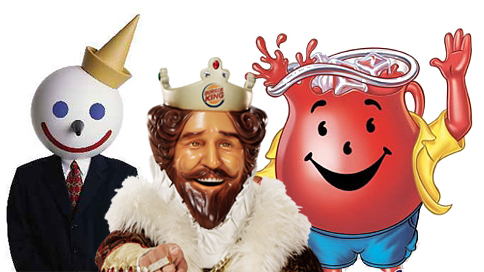 Time magazine is mourning the recent retirement of Burger King's “King” mascot by including him in a list of the Top 10 Creepiest Product Mascots. Whoever wrote this up must still sleep with a nightlight, because most of these choices aren't creepy at all. Was anyone really put off by the Michelin Man, or Count Chocula's buck teeth? I will give Time credit for digging up the 1970s McDonald's ad below, in which The Hamburglar made his debut. Good thing McDonald's chose to change his name after this spot aired. “Lone Jogger” was a serial killer nickname just waiting to happen.